It is safe here behind the computer screen. Its' invisible shield guards me from taking a bigger risk. I can edit at length and often and linger as I pen prose to shape the sands around me. Does this echo in your heart? I'd like to challenge you to step away from the computer screen and take center stage. Writing is the benefactor of speaking. I used to belabor every verb selection and cringe over each -ly or -ing word. I meandered on the path to publication. Somedays I spent hours composing a single blog post. The world behind the microphone has trained my mind to think fast and not turn every moment of prose into a museum of anti-progress. The patch of ground under your La-Z-Boy is malnourished. Super size your thinking by blending speaking with writing. When you speak, you write in real time. You interpret the expressions and reactions of your audience as the words flow out. You make adjustments. You fill the stage. Your thoughts expand with the size of your platform. Do you work from an orderly outline or allow words to flow from your heart at their own pace? 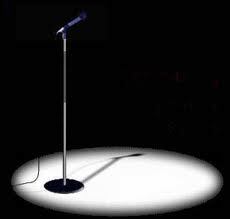 An effective speaker is one who knows where they are going next. One illustration or anecdote flows into the next and weaves a tapestry of a story told one sentence at a time. The same is true of an article, essay or novel. Speaking practices your mind in the art of knowing what comes next. A clear path prevents wasted thinking time and redeems it as writing time. Your clear thoughts lead to a early completion. Think speaking isn't for you? Start small. Volunteer to read during story time at your local library. Raise your hand to introduce the speaker at your next function. Then dare to take center stage and have your thinking and writing transformed through speaking. Your fast, big, clear thoughts translate to extra articles accepted for publication and additional book sales. You might even make a few extra dollars in speaking fees to fund your writing. So come on...and speak to me. Do you write with transparency and authenticity? Do you give your reader an “insiders” view of your world? Are you willing to be honest about your life…stumbles, fumbles and all? Why? Because when we are willing to be open about the struggles we face, it deeply encourages others. Something connects our hearts to the hearts of those who have overcome a difficult situation we are currently walking through. It gives us hope. And we all need a dose of that. As writers, we have the opportunity to offer hope to the hurting by simply being…authentic. When a writer decides to give the reader a peek inside their situation or circumstance, the result is a renewed hope things will indeed work out. The reader’s strength is renewed. How many times have you read, with endearment, an article about someone overcoming great obstacles that went on to live a life of contentment and purpose? We’re all drawn to those kinds of stories. Not only did you find yourself rooting for their victory, you were able to see your situation in their story. And because they were able to stand through the storm, you were inspired to do the same. Their life experience is powerful. And you know what? Your story is powerful, too. 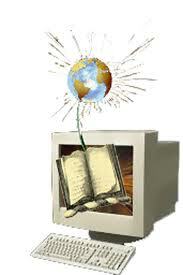 It encourages your readers to stand firm. It proves that they can overcome. As writers, we can offer this to our readers. 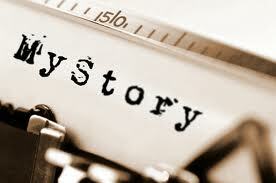 Our stories can give them the confidence freedom, restoration, change, forgiveness, etc. is possible. And when we openly share our lives with others, we become the poster-children for hope. So I wonder, what is your experience? 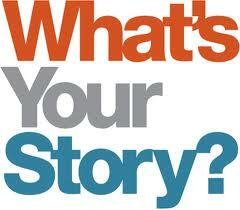 What story in your life needs to be shared? Have you overcome an addiction? 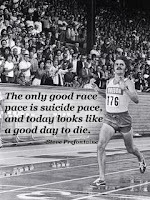 Struggled with depression? Suffered the loss of a child? Faced a messy divorce? Survived a life of abuse? Beat the odds of an illness? Friends, others need to hear your story. When my family dealt with a difficult bully situation last year, I wrote a few very frank blogs about it. I shared details of what it looks like, the steps we took to rectify the situation, the emotional toll it took on all of us, and the results of our efforts. The response I had was overwhelming. I was awestruck by the number of people who were facing the same issue with one of their children. My heart broke hearing their stories. Countless people thanked me for my willingness to be real about what we were dealing with. My authenticity gave others hope. As a writer, are you looking to make an impact? Then purpose to write with honesty, transparency, candor and openness. The world needs your words because they have the power to offer…hope. An inspirational speaker and writer, Carey is honest about her life journey…stumbles, fumbles and all. Her goal is to challenge others to be real and authentic and she does this through her blog titled “Let’s Get Real”. She’s a little in your face, always honest and relentless in prodding you to stop living a life of comfort and instead get on the battlefield. 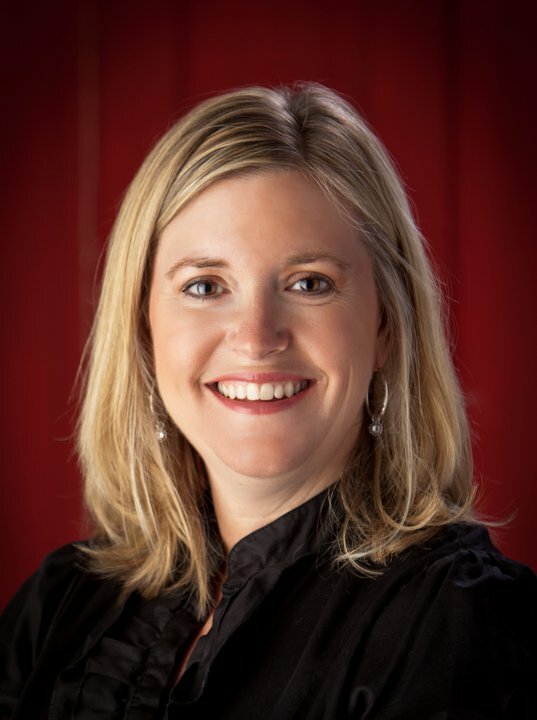 Carey gets authentic with moms every Wednesday on Moms Together where she serves as a moderator and panelist. She also leads women through her position of speaker and writer for the LeadHer organization. You can connect with Carey online through Twitter and Facebook. She is a happily married mom of two living in Colorado. CONTEST: One of our SOUTHERN WRITERS has a contest for you. 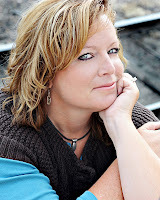 Enter the drawing of Jonna Turner author of Shiloh and the Cave. 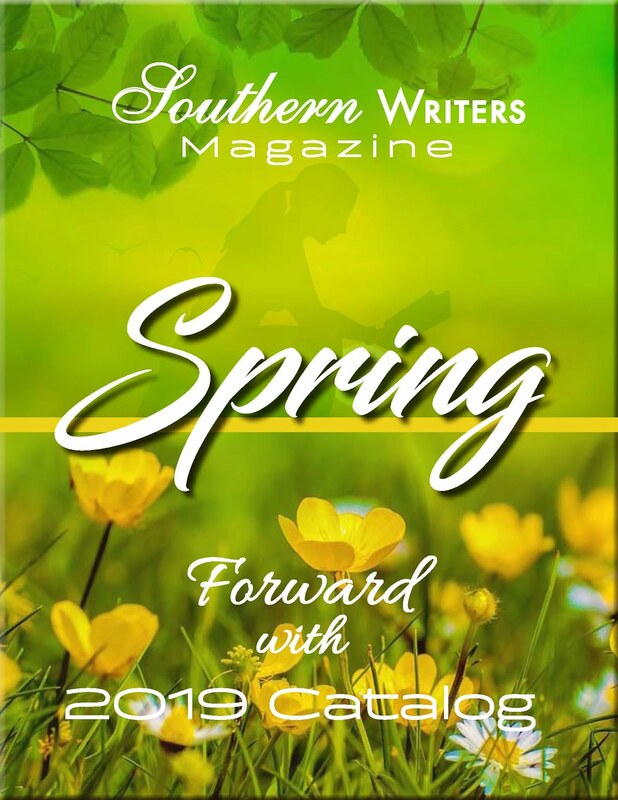 Would you like a free copy of my latest novel, Shiloh and the Cave, or a free online copy of the September issue of Southern Writers Magazine--with tips, how-tos, and sound advice for budding authors as well as established authors? And, reviews of some of the latest Southern novel...s.
Here’s your chance to win! Just come up with a good Southern name for the female protagonist in my next Southern Mystery set in present day. Tips: The character will be in her late twenties, beautiful, sassy, and Southern to the bone! The top five names will be chosen (Use your own name if you’re adventurous!) and will appear as characters in my next mystery novel(s). The first-place winner will receive a copy of Shiloh and the Cave and a copy of Southern Writers Magazine. Four other names will be chosen. 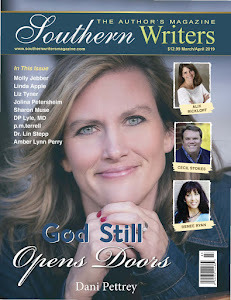 Winners will receive a copy of the September issue of Southern Writers Magazine. Be creative and have fun! Post your entries on my Jonna Turner page. Winners will be chosen and notified on October 14th. 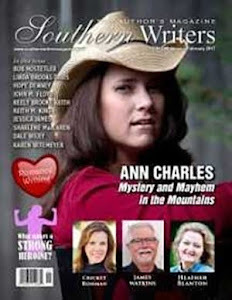 Winners’ names will be posted on the Southern Writers Magazine’s Facebook page, my Jonna Turner page, and my website: www.jonnaturner.com. Have fun and good luck! We would all love to wake up this morning and be a successful bestselling, sought after author with people clamoring for our books, so much so the publisher can’t get them printed fast enough. Movie studios are knocking at our door with contracts. The truth is that normally doesn’t happen to anyone…and if it should, there is a strong possibility that it will be just for that one book because they haven’t built their foundation. 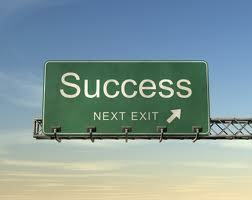 Long-term writing success requires a foundation and as Dr. Schwartz said, “foundations are built one brick at a time. Football games won a play at a time.” When you see someone hit it big, look close, you will see that person used the one-step at a time approach. 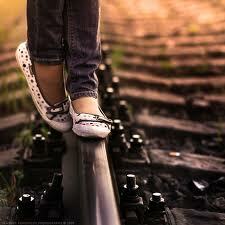 One-step upon another until stardom was attained. To become a bestselling author, many steps come into play. We have to write every day to finish our manuscript. Then we need to find an agent who will find the publisher or we need to find a self-publisher. Our work doesn’t stop there. Then comes the marketing phase of this foundation. Every day we have to make efforts to market our book. We have to Facebook, Twitter, and then we need to blog. There are many bricks needed to build our foundation. Remember in anything we undertake, to succeed we need to take one-step, one brick, and one day at a time. When we have a project to work on, we should never look at the entire scope of the project, just the part that can be achieved that day. 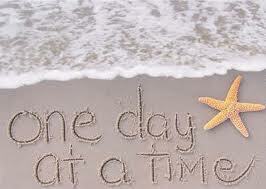 We have all heard the expression ‘One day at a time’. That is all we have. Take today; write what you can, market what you can; your one day starts today! One of the greatest inventions of the 20th century – or any century, in my opinion – was a piece of cardboard with a spinner dial and a bunch of stuff printed on it. 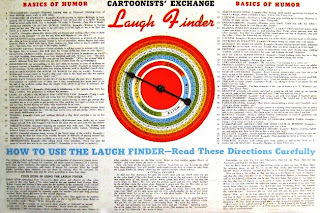 If you’re a creative person I think you’ll share my awe once I tell you about The Laugh Finder. The idea behind this gizmo is that it would help you create the idea for a cartoon. 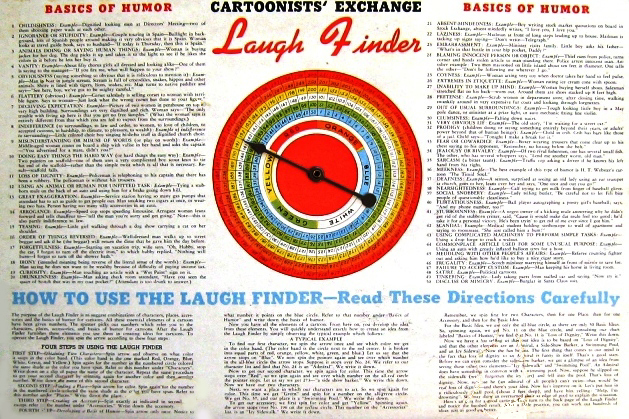 You’d spin it several times, and via an enormous list that corresponded to the numbers on the dial, you’d get your characters, props and basis of humor (situation). Instant hilarity, right? “Vampire” … “Hearing aid” … “Weakness”. What humorous cartoon could you come up with involving a vampire, a hearing aid and weakness? Let’s go for another spin. “Old man” … “Waitress” …”Doing things the hard way”. Groans aside (and, mind you, not every idea is as brilliant as those! ), perhaps you can see the value of this concept. The principle of taking disparate things and putting them together in a new framework (for humor or other purposes) has been a valuable tool that I continue to find useful almost every day. Don’t know where to go with a character in your story? You could pick a couple of words at random from a magazine or the dictionary. “Inadequate” and “clean” are two I just found. Maybe your protagonist isn’t a great housekeeper, a trait that can lend itself to some interesting and very human sidenotes in your tale. Perhaps that earring they step on leads to a minor emergency room visit where they meet the doctor of their dreams. Or a vampire with a hearing aid. When we feel a little stuck creatively, we may not have Laugh Finders handy to spin and point us in a new direction, but if we think outside the box it’s very easy to come up with something unexpected we could add to the mix. That could be all it takes to put a new spin on things. 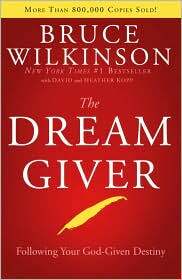 Bruce Wilkinson in The Dream Giver told each of us we have been given a specific gift and a specific dream to fulfill. Wilkinson goes on to show us the challenges we must overcome on our journey to fulfillment. The Dream Giver was an eye opener for me. 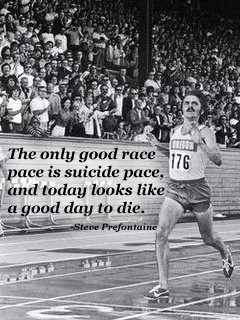 I read it from an advantage of having lived, struggled and achieved many of my dreams and could look back and see exactly what Bruce Wilkinson so accurately pointed out. When my writer's group needed an expert in rejection, I came to mind. I read agent’s rejection letters I had received. Having been in marketing for many years, you come to realize you can become callous to rejection. But you will find that rejection accompanied by constructive criticism is valuable. That was the route taken with the presentation. One agent had sent me a rejection letter then two days later he sent me a second letter. In it he said he had given some thought to my work and had referred me to an agent that would be interested. It turned out to be a valuable rejection indeed. Today I welcome my friend and Southern Writers contributor, Londa Hayden to Foundation Friday. Please give her a friendly Southern welcome to Suite T.
Do you remember the old saying, "When at first you don't succeed, try, try again?" It is the one adage that has followed me throughout my life. When I didn't get my manuscript accepted by one agent, I tried another, and another, until I got a yes. When my agent told me my manuscript needed work, I found an editor, took online writing classes, learned writing techniques, and worked hard to improve my writing skills. At first, the task seemed daunting and I grew discouraged. I questioned my capabilities as a writer. Who was I to think I could write anything of such magnitude as a novel? Sure, I could crank out a devotional or two, but an entire novel? That's when I realized that the only thing stopping me was me. Many authors, who possess little to no formal training, have penned excellent novels. Alex Haley is a fine example of someone who persevered through many obstacles and much rejection. Did you know he was not college educated? Yet, he won a Pulitzer prize for his historical novel, Roots. Did you know it took him ten years to research the book? Ten years in which he had little to no income? Rejection comes with the territory. The two things one must have in order to write with excellence is passion and tenacity. Keep writing and by all means keep submitting your work. About a month ago, I wrote a blog post about my twelve-year-old daughter, Bekah, desiring to be homeschooled. She told me she felt like God wanted her to be different and that it was extremely difficult to live that out with all the pressure from other kids at school. She asked me if I would take at least a year of homeschooling to not only teach her academics, but also boldness. The more I think about it, the more I realize that I have faced a similar struggle with writing. I feel like God has gifted me to have a unique writing voice, but it is extremely difficult to maintain that voice with all the pressures of the writing world. I started actively blogging July 4 of this year. Yes, I am a newbie. I had started a blog two years ago and posted three times. Within 6 months. Major commitment problem. So this time, I was dedicated to write at least twice a week. I honestly wasn’t sure about a theme or a niche, so I just began writing about what God was teaching me on a daily basis. For inspiration, I started following many different blogs and reading the posts of many different writers. The more I read, the more I struggled with what I should write. I saw other writers’ successes as incentives to write like them. I want to write beautiful prose that drips with imagery and movement. The kind that leaps off the page and makes you want to sing the words. Or maybe I will write like her... she is lighthearted and makes me laugh out loud. His writing is packed with leadership strategies and attracts lots of readers. Perhaps I will follow suit. She shares stories through many photos, but few words. And yet, I am powerfully moved. Wow, I wish I had that gift. My need for inspiration spiraled into a need to conform. Yes, I was plagued with the same struggle as my tweenage daughter. I knew that God had given me a distinctive writing voice, but it seemed much easier and attractive to follow the way of others I admired. I prayed that God would teach me how to be BOLD and communicate the message only I could write. So, how did I discover my unique writing voice? I prayed for God to reveal the message and/or method specific to me. I asked readers and friends what value I give in my writing. I read my own words...past articles, journal entries, and blog posts. What was a topic on which I passionately and consistently wrote? Or was there a common thread throughout my writing? After putting these steps into action, I realized that my writing identity is somewhat like a cheerleader. I motivate people to see their potential and purpose in life using Scripture and personal life illustrations. I offer prayer, encouragement, and even advice regularly to readers fighting the battles of life and help them see the power and presence of God through it all. No, I probably will not ever write beautiful prose, or use magnificent photos to tell a story. I don’t think being a leadership guru or a comedian is in the master plan, either. But that’s okay. The different, unique writing voice God has given me includes pompoms and a megaphone. And who knows, one day you might just see me on your sideline. I’d like that. Once a cheerleader, always a cheerleader! Kelli is a motivational speaker, writer, and blogger and loves seeing people reach their full potential in Christ. In her role as Serve Minister at Christ Community Church in Georgia, she has the awesome privilege of rallying others to find their unique place of ministry. Her favorite home team includes her loving, funny, yet quiet husband, and her two loving, funny, and not so quiet children. Remember when you were little playing with your friends? Were you the kid who shared their toys willingly or were you the kid that didn’t want anyone to play with your toys? I will admit there were times when friends came over to play that I was willing for them to play with my toys, at first, but later during their visit, I would want the toy back and didn’t want them to play with it anymore. I watched the mothers of the two kids. They both turned around, at the same time…smiled at their kids, and both said in unison, “play nice boys” and turned back to continue their conversation, which of course was so much more important and continued drinking their ‘vanilla latte and caramel ice coffee’. Naturally, the children minded the mothers–wrong. They continued to fight over it until it escalated and one of the children hit the other. You know the scene you’ve seen it too. While watching this vignette with the four characters play out I couldn’t help but wonder why it is we humans have such a hard time sharing and helping each other sometimes. It’s as if we revert to the days of childhood, we don’t want the other person to get what we have. If what we have is great, how can we not pass it on to others? How can we not shout from the rooftops, “Here it is, come get it?” If I know how to do something and it will help someone, I should be glad to show him or her how to do it. When I share with someone my knowledge and my experience, I do help them, but I also help myself. I get better. The old adage practice makes perfect is very true. I become more experienced and if I keep on, eventually not only will I be a master at it, but people everywhere will know that I, me, am the master and I create a following that will carry me to new heights. Fortunately, because I learned to share my toys I won’t be alone on those heights. For many writers, coming up with an idea for a book or a screenplay is the easy part. The hard part, they contend, is how to start the story. 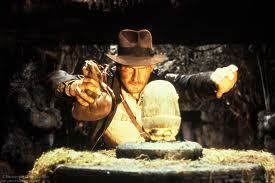 If you have that dilemna, I invite you to take a cue from some of the great blockbusters. A strong beginning gives the reader a taste of what lies ahead. 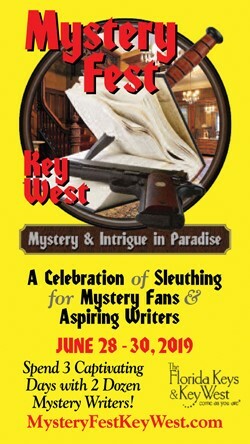 This can be done in a number of ways, such as starting out with action (like the murder in a mystery), or introducing a compelling hero and their present circumstances, soon to be challenged. Additionally, the opening scene will establish the theme or moral that comprises the main idea behind the story. RAIDERS OF THE LOST ARK opens with a bite as well, taking you on a relentless thrill ride through death traps, savages and snakes. By the time we observe Indiana Jones at his day job of soft-spoken professor, we’re already familiar with his courage, ingenuity and weaknesses because of the riveting opening sequence. It’s obvious there’ll be more adventure ahead. THE LORD OF THE RINGS begins as the classic fairy tales do, by spelling out all the backstory up front. Without ado, we learn of the rings’ origin and how they sparked a war between good and evil, just as the Brothers Grimm caught us up on evil stepsisters at the start of Cinderella. Disney is particularly adept at the opening number. After BEAUTY AND THE BEAST’s own fairy tale prologue, Belle reveals her hopes and dreams in song while introducing us to her village. The townsfolk chime in with their own observations about the heroine. In the midst of this colorful gaiety, geese fly overhead, and one of them is shot from the sky, giving us an immediate negative impression of the man wielding the musket. We’ve declared him the bad guy even before he has his first conversation with Belle. FIDDLER ON THE ROOF, aided by an introductory narrative from its protagonist, begins with “Tradition”, a big, proud declaration of the code his village lives by, which for the next three hours is threatened at every turn. Pick any musical and the opening number sets the stage for what follows. Setup is everything. Captivate your audience with a great opening scene, and they’re very likely to come along for the ride. 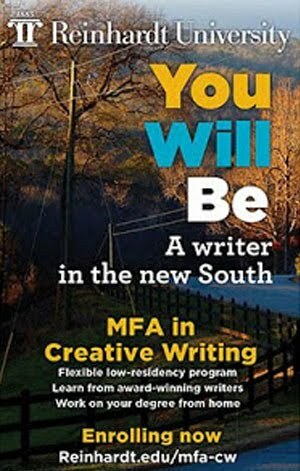 Southern Writers Magazine is offering the special opportunity to win a free online issue of our magazine. 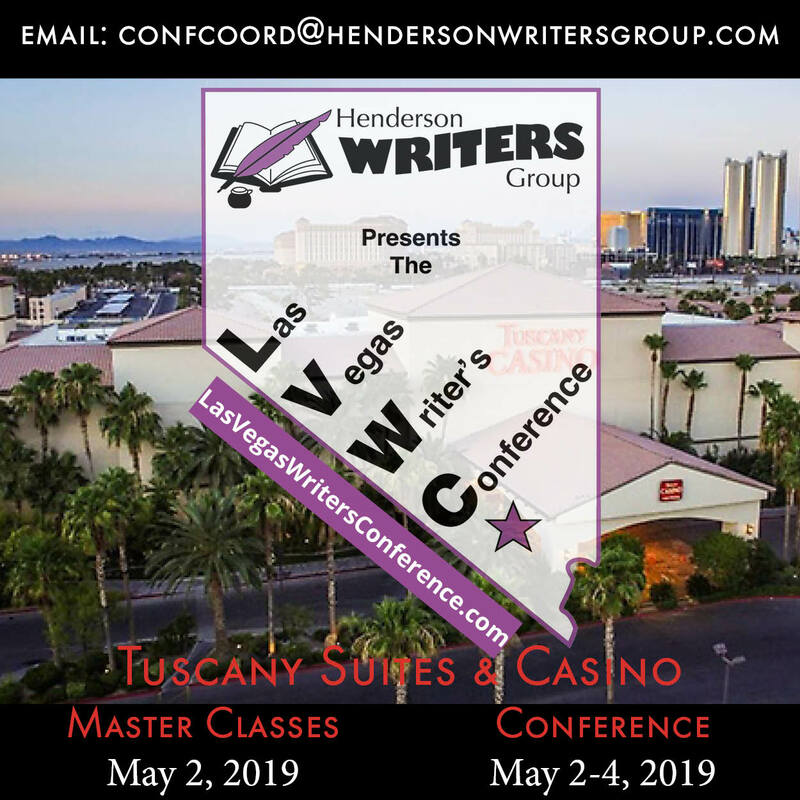 To enter leave a comment telling us what is one aspect of working as an author, you wish Southern Writers would write about. Winner will be announced next Monday, September 26th at 9:00 am. Winner will need to email editor@southernwritersmag.com to claim prize. 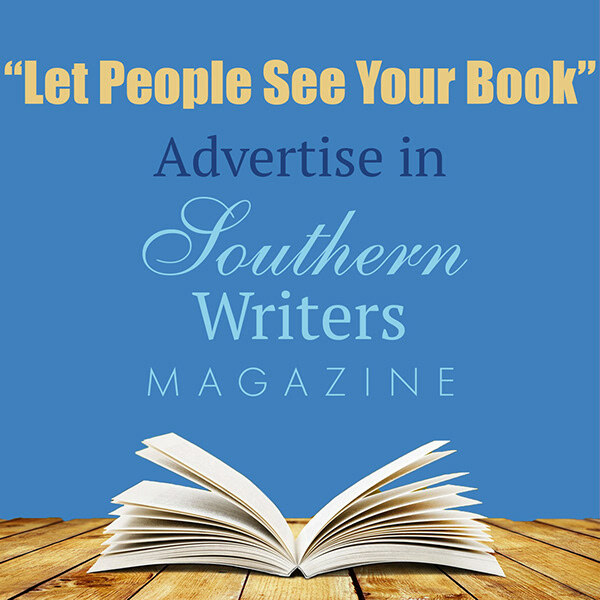 What is one aspect of working as an author, you wish Southern Writers would write about? Creativity or Sales...Why Not Both? Ayn Rand, author of Atlas Shrugged, said, “A creative man is motivated by the desire to achieve, not by the desire to beat others.” As writers our desire is to be creative and to express ourselves to others in the gift of our words. On the opposite end of the spectrum are the words of Thomas Edison concerning his creations; Thomas Edison said, “Anything that won’t sell, I don’t want to invent. Its sale is proof of utility, and utility is success.” That sounds like validation of worth through sales. Both make a point and we as writers are faced with both sales and creativity. We see it in all manner of artistry and creativity. Hollywood movies make the point with a critically acclaimed movie as opposed to a money maker. Take a look at the movies of John Wayne and in later years Burt Reynolds. There are very few critic awards given to the on screen endeavors of the two. But both made astronomical sums of money at the box office. 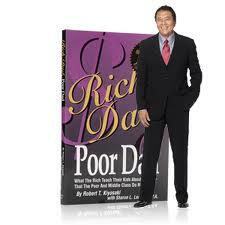 Robert Kiyosaki, best-selling author of Rich Dad Poor Dad, tells of an interview with a young journalist. The journalist mentioned she had written a book but could not get an agent or publisher interested in it. Kyosaki suggested she may want to go back to school and take some marketing classes. She was insulted by the idea that she, a college graduate with a degree in journalism, should go back to school for a marketing class. Robert asked why she was interviewing him. Her reply was he is a best-selling author. Robert affirmed, best-selling not best-writing. You must learn to sell yourself and your book. A few marketing courses may help you do that. The question is must we choose between creativity and sales? Matter of fact, unless we are independently wealthy, we need both. Each fuels the other. Many times we are directed toward one or the other and must decide. 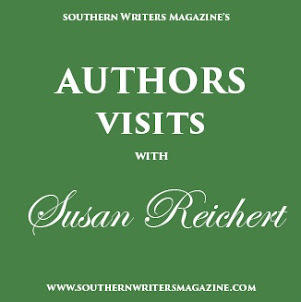 In the midst of a decision, I have heard our Southern Writers Magazine Editor-in-Chief Susan Reichert say so many times, “Why not both?” “Why not both?” may be your answer. A Facebook Page Arthur Fonzarelli Would "Like"
"Ehhhhhhhhhhh, I give this Facebook page two thumbs up." The coolest dude in Milwaukee would not click to register his like. He'd probably just thump the side of the computer screen and it would magically appear. The better question isn't how the Fonz registered his like but why. We'll unlock the answer by making our pages more Arthur Fonzarelli and less Ralph Malph. 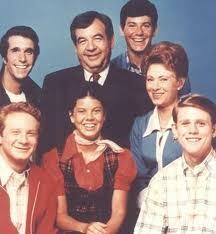 Whether Richie was in an unfair fight or Joanie was in a compromising position, the Fonz always showed up. You build a successful page by being an active participant in it. Comment back when someone drops in. Post updates three or four times a week. Occasionally I'll visit a Facebook page that hasn't been had a post since October 2010. If you aren't hangin' around the juke box, nobody else will dance. Have you ever seen a facebook url that looked something like this? www.facebook.com/wowthisisareallylongname/userprofile/#!/whatintheworldisallthisstuff/123456789 This is the Facebook url of an Arthur. If we want to be a Fonz, we need a direct url. 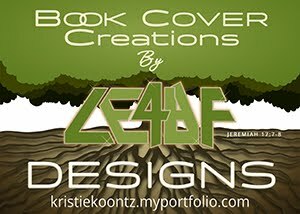 With just 25 likes, you can claim your cool at www.facebook.com/username with a custom url such as: www.facebook.com/coolestwriterever. The next thing we know, you'll write wearing leather. The Fonz was a man of few words. Therefore, the ones he used were heeded. We'd do well to follow his example. We spent many hours in the Cunningham's home but we never watched them cut grass for an entire episode. Mr. Cunningham would occasionally show up at the hardware store but he never spent thirty minutes explaining the difference between a circular saw and a drill. To be successful on Facebook, we need to invite our friends and followers to the family dinner table without serving them meatloaf every week. Keep our message simple and others will read it. Grab a malt and hop over to Facebook. Implement a few quick changes. In no time, your fan page could garner a like from Arthur, Potsie and even Mrs. C.
I was going about my business like I usually do when it happened. I looked at the feed of Twitter updates in my TweetDeck app, and I noticed that a blogger buddy was sharing a link to a recent post of his. While it was the title of the post that sounded relevant to me, I was pleased to find an excellent review for an e-book on a topic that was very timely for me. After reading his thoughts on the book, I realized how much I needed to read that book as well. 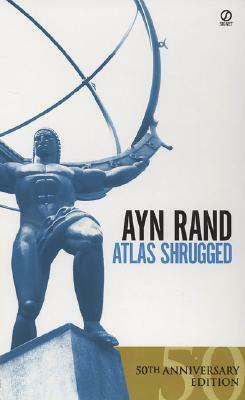 So I headed over to Amazon.com, ordered the Kindle version of the book, and started reading. As it turns out, it was one of those books that I just couldn’t put down. So what was my response? Yep, you guessed it! I wrote my own review for the book on my website. And my Amazon Associates reports show a few more people bought copies of the book after clicking on the links from my review. The crazy thing is mere minutes before purchasing a book I would eventually try to help sell, I wasn’t even thinking at all about purchasing the book. In fact, I didn’t even know the book existed! In social media circles, that’s what we call the viral effect. It’s the ability that the web and social media sites have to spread ideas like the swine flu. If you’re lucky (or good), then this whole thing can take on a life of its own. ○ The high-value blogger - The reality is that some of the bloggers you may know already have large followings and a high level of influence. Identifying this group of people may be helpful, and open doors for higher-impact posts. Be open to doing more than offering a free copy in exchange for doing a review. Consider being available for interviews and/or sharing more copies as giveaways with these people. ○ All other bloggers - You may not have the bandwidth to do a whole lot with every other blogger who wants a free copy of the book, but don’t underestimate the value of getting lots of people talking about your book. This is particularly effective if you have a website dedicated to the book that these bloggers can (and should) link to. All of these links make a big difference in the search engine results, pushing your book higher for associated keywords. 2. Leverage popular book review sites. 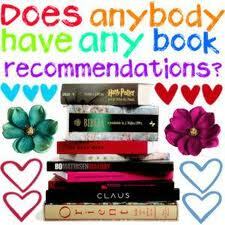 There are lots of sites out there that are dedicated to doing book reviews. A couple that I know of are Englewood Review of Books and Crazy for Books. Both of these sites take very different approaches to how they connect with book reviewers, but you’ll find some value in them both. Englewood Review of Books is specifically focused on the faith niche, but a Google search for sites like this in your niche should turn up some decent results, and great opportunities to connect with review sites and other book review bloggers. 3. Join networks in your niche. As a faith-based blogger/writer, I also find a great deal of benefit to being a part of a network of like-minded writers at TheHighCalling.org. The site doesn’t post a large number of reviews, but allows for a great number of people to connect with who can be potential reviewers. This is more of a long-term strategy, because not many people are big fans of the guy that shows up to the party leading off with, “Hey, I’m Dan! Wanna help me sell my book?” Take your time, build relationships, and the opportunities to leverage the network will come. I wish I could share more, but I’ve got to get back to a couple projects that I have going right now. One of them is a five-part review for a book I liked so much that one review wasn’t enough. The other is working through the editing of my upcoming e-book, and lining up bloggers to share something related to the book when I send them their free copy. Just don’t forget that content is still king. If you write ideas that are worth sharing, then people will be more likely to share them. But if content is king, then the online book review is the queen... and we all know who the one person is that can tell the king what to do! About Dan King: Christ-follower. husband. father. corporate training development guru. 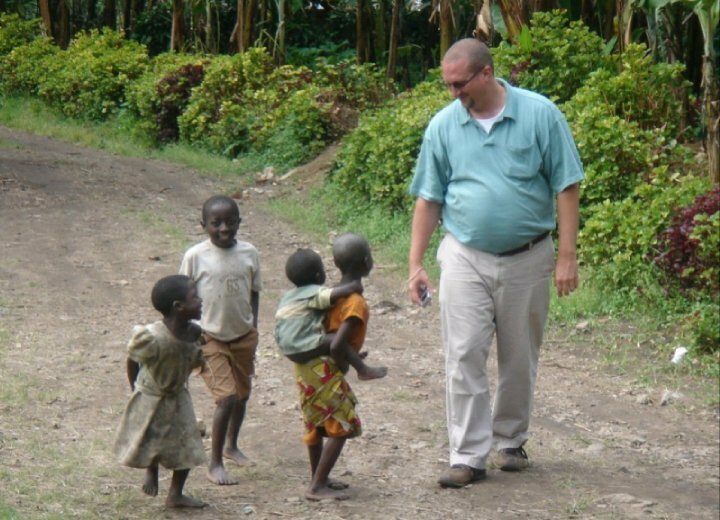 school of ministry and missions instructor. social media editor for thehighcalling.org. blogger at bibledude.net. co-founder and media director for the activistfaith.org movement. social media director for help end local poverty. Catch up with Dan online at his blog, Facebook or Twitter. Today our Editor-in-Chief, Susan Reichert, is taking a break from Wisdom Wednesday to bring us the insight of our Special Features Director, Richelle Putnam. Please give a warm Southern welcome to Richelle! And, of course, who can argue with Webster? 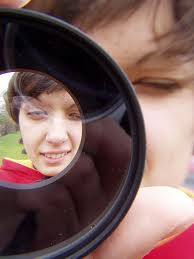 First Person: The Narrator participates in the story, telling the story from his/her perspective. (“I”). 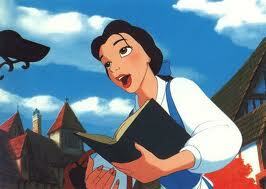 Second person: The reader (“You”) becomes an active participant in the story. This POV is rarely used because of its limitations and because most readers like to escape into someone else’s drama. Still, there are cases in which second person works. a. See into any of the characters (omniscient). This all-knowing POV can include “editorial” omniscience, which makes judgments about the characters and their actions. Or can be “impartial,” which doesn’t make judgments about the characters’ thoughts and actions. Writers can often get hung up between “literary point of view” and “Webster’s point of view,” thinking they’re one in the same. For instance, in a critique session, if fellow critiquers say you changed POV midstream, unless you changed from third-person to first-person, or vice-versa, they really mean you changed “perspectives.” Third-person is third-person, whether the focus is on Helga or Swen. For instance, in a third-person POV book, if a new chapter begins inside another character’s mind in third-person, the POV is the same. The perspective has changed. Perspectives can change throughout a book with each character sharing what he or she is thinking, planning, and feeling. Only when authors switch from First Person (I) to Third Person (He, She, They) does the book’s POV change. Have I said that enough? One novel that masterfully changes the novel’s POV is William Faulkner’s The Sound and the Fury, which consists of First Person and Third Person POVs. Best-selling author James Patterson also does this well. In short, it’s not in “whose POV is the story written,” but in “what POV” is the story written. 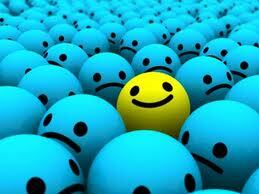 What’s important is to keep your characters “perspectives” from crowding the same paragraph or chapter in your novel. Give each character space by separating each “perspective” with a new chapter or extra spaces and four asterisks. Here’s a helpful suggestion. Imagine a big room. 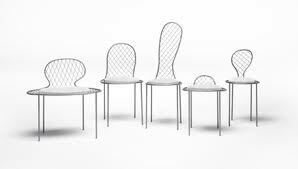 In the center are five chairs spread out into a wide circle, like what you’d imagine for a group session. Imagine that room as your manuscript. The chairs represent different parts of your manuscript, either a new chapter or a section set off by four asterisks. One character is allowed to sit in each chair because, well, there’s only room enough for one. Now, during “group,” you, as the leader, must keep your characters on the issue at hand, which is the plot, allowing only one character to share their “perspective” at a time. By doing this, your readers obtain necessary facts and information from several different characters without getting confused as to who is feeling what, when, where and how. And there is much more opportunity to end each chapter/section with a “hook.” But we’ll save that for another blog! Point-of-view and perspective can be tricky, but knowing the “tricks of the trade” will keep you from falling victim to the trickster. Well…that’s my point of view. The parade of new movie posters hanging outside the local Malco theatre on any given weekend affect me in the same way ancient sailors found themselves drawn to the song of the Sirens. Approaching them from afar fills me with unparalleled anticipation of the mystery, beauty and adventure Hollywood hopes will lure us into its buttery-smelling catacombs. And yet, once the posters are within view, it takes less than two seconds to assess each banner and develop a definite sense of whether or not that matinee will get the nod. About a second for the title and a second to glance at the picture, and I’m on to the next. Relatively speaking, a great many factors are deduced in such a short amount of time. All at once, consideration is given to familiarity with actors, the appeal of the graphics, the cleverness of any tagline and, of course, the showtime (in the event I’ve already missed the beginning). But, for my money, the most immediate deciding factor is the title. Case in point: a movie came out this week called Columbiana. It may be a terrific film; it may be a total bore. I’ll never know personally because the title was one of those instant turnoffs. It just sounds like yet another South American drug smuggling artillery-fest. (I’ve since learned that it’s about a girl who grows up to be an assassin or something.) I contend that the movie would have a wider appeal if they had taken a little more care to pick an enticing title. If the girl had an interesting name, Natasha would be a better title. Or since she’s a killer, how about Femme Fatality? Regardless of whether those titles draw you in, they don’t beat around the bush; they tell you something. Another example, Midnight in Paris, suggests a mood that is very much like the movie itself. And vague though they may be, even The Debt and Crazy, Stupid, Love at least suggest a theme. 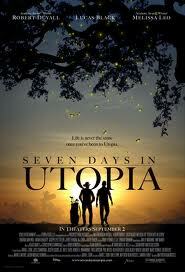 Now, I haven’t seen any of the above and am not endorsing any (although another intriguing title is Seven Days in Utopia; I have seen that and recommend it enthusiastically). All of those titles pop, and even the most indistinct of them bear some connection to what lies between the covers. In all cases, if the title doesn’t say it all, the supportive artwork fills in the gap. Whether it’s your book, movie, blog or YouTube video, it never hurts to declare your intentions with a solid title. You can still get creative as long as you decide on a name that evokes some idea of what you’re going to deliver. Whichever the case, you’ll want to avoid ambiguity, which could cause you to be written off, having evoked no reaction at all. Next time you’re at the movies, I invite you to take note of how much the titles alone have influenced your choice. And if you see Columbiana, you’ll have to tell me if it’s any good. Frank Culberston had a unique position from which to observe the attacks of 9/11. He was the only American not on the planet at the time of the attacks. 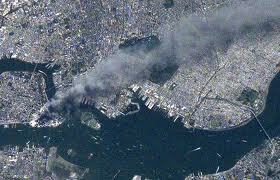 Frank Culberston observed the attacks from two hundred fifty miles in space on board the International Space Station. He arrived August 12th and would remain until December 15th. It was his 30th day aboard and had called mission control for a routine medical check and was told by the doctor, “We aren’t having a very good day here on earth.” Culberston and his crewmates took notice of the attack areas in New York City and Washington D.C. With perfect weather they were able to capture some amazing shots. We may have never experienced space travel but each of us has been a part of or witnessed some event from a unique position. It may have been a historical, family or community event. It could have been your school years, politics or career situation. We must search our minds, realize our uniqueness then share our story; a story that no one else can tell. Present that story to fellow authors, critics or agents and discover the interest others have. Before you know it you could be getting positive results from you query letters and we will all be able to read your story. I once attended a seminar where participants were asked what made us unique. I was amazed at the answers. They ran from I am a twin to I have the tattoo of a Kansas Jayhawk on my molar. Do you have something that makes you unique? Would you be willing to share it? If so we want to hear from you in the comments section. My blog blows. Do you ever feel that way? You've followed all the design advice and your blog appearance is top notch. You provide excellent content. Everything about your blog says professional. The only problem is your reader list which is your mom, your great-aunt Martha and your first grade teacher, Mrs. Goldstein. You're blogging about gardening but spend your free time at an inner city roller derby rink. Chances are they don't know a petunia from a peony. Find places your audience congregates and mingle. Your mastery of the subject will naturally draw these acquaintances to your site. 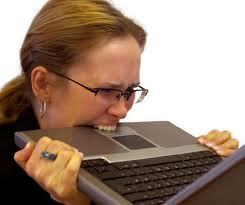 Find someone in your area of expertise whose blog you devour. Volunteer to help them by commenting on their blog or reposting their blogs on Twitter. 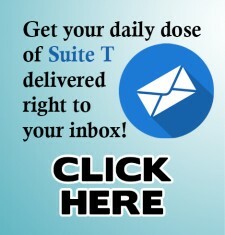 You may be thanked with an opportunity to guest post or with a credible recommendation. Everybody likes getting something for nothing or practically nothing anyway. Fund a giveaway for your site that directly relates to your content. If you're blogging about beauty, aggregate a package of new product. If you're writing movie reviews, offer movie passes complete with popcorn and drinks. What do you ask in exchange? Ask them to follow your blog, mention it on Facebook or tweet about it. You'll be amazed how excited people can get over even a low-value prize. Does your blog blow? Harness the wind by hanging with your hombres, helping a hero or hosting a happy. 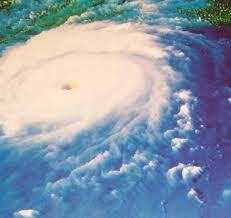 Soon your blog will blow hurricane style.